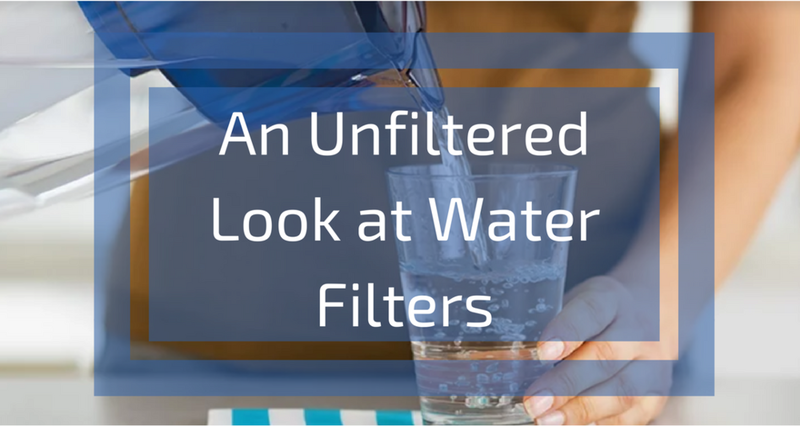 Whether it be water filters, air filters, or Instagram filters–the filtration industry is more popular than ever. There is a lot of stuff floating around in your everyday environment that you probably don’t want in your body–and filters are one great way to protect yourself and those you love. What kind of filters are out there? How do you keep them working? If you get your water from a private well, then you’re among 14 million american families who have to be self reliant about your water quality health. As we’ve mentioned in prior Tips For Taps articles, even municipal water utilities that work hard to keep your tap water clean and safe are not always able to remove all impurities–like dirt, metals, minerals, microorganisms, and chemicals. Sometimes these things just make your tap water smell or taste bad. Other times, contaminants can endanger your health. This is where water filters can help. Activated carbon filters (e.g. Brita and PUR filters) are extremely common. They are also effective at solving many tap water problems, in part explaining their immense popularity. That being said, they do have a few shortcomings. But, before we dive into what they can and can’t do–let’s take a look at how they work. Activated carbon filters are made out of tiny pieces of treated carbon in granular or block form. The particles are extremely porous–with just one gram of activated carbon having a surface area of ~500-3000m2 ! The enormous surface area of the carbon granules make these filters very effective at removing contaminants out of water (via adsorption). Activated carbon filters are capable of removing contaminants anywhere from 50 microns to 0.5 microns in size. Put in perspective, a human hair is approximately 75 microns in diameter. The way these carbon filters work is pretty simple: water flows through active carbon filters, impurities in the water stick to the carbon, and cleaner water results. It is important to note though, that much of the effectiveness of these kinds of filters depends on both the flow and temperature of the water. For the best filtration results, activated carbon filters should be used with low pressureand cold water. Unfortunately, because activated carbon filters remove chlorine so successfully (from cold, low-pressure water), many people place activated carbon filters on their showers. You can probably guess where this is going…Unless you have a really low-pressure, cold shower (which if you do, it’s time to call a plumber), your activated carbon filter isn’t going to do much–as hot water substantially reduces the filter’s adsorption ability. Finally, as with any filter, they only serve a purpose if you change them as often as recommended. Most activated carbon filters brands suggest that they be replaced every 40 gallons that pass through–or approximately every two months. While the term “reverse osmosis” (RO) leaves many confused, the process is relatively straightforward. Simply put, RO systems use a high pressure pump to push water through a series of permeable membranes in order to remove impurities. Many municipal water systems use RO processes to clean the water that eventually flows from your faucet. However, if your tap water will still has some sediment, minerals, and microbes from the distribution system or an ineffective treatment process, you may consider investing in a home RO system. Coming in a variety of sizes and degrees of complexity, reverse osmosis systems are available both as countertop units, as well as whole-home systems. As to be expected, the more complex the system, the higher the cost. For example, whole-home systems can (and often do) cost upwards of $12,000. Though the price tag can be a tough pill to swallow, there are definite upsides to these pricey, albeit effective, systems.They consume a small amount of energy and are easy to maintain. Their filters last for about a year. While the pros of reverse osmosis filters are pretty evident, so too are the cons. Besides being a very slow process when compared to other water treatment processes, RO is also a wasteful one. For every gallon of purified water produced, RO systems generally waste two to three gallons of water. A Final Word on Filters…. Water filters, air filters, (and even Instagram filters) tend to make things better–depending on which one you choose. However, no matter what, it is critical that you maintain and replace them as frequently as the manufacturer recommends. So, go and get yourself a filter….water you waiting for! ?